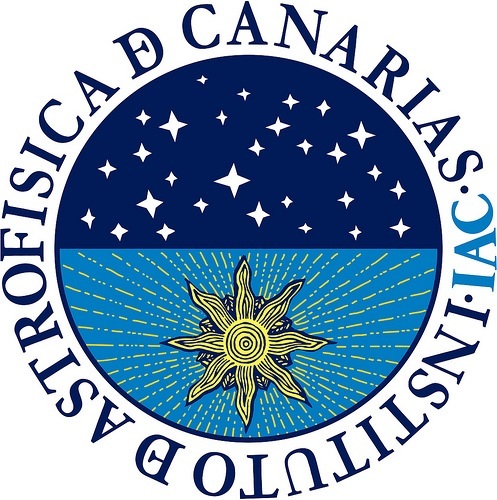 Jairo Méndez Abreu and Adriana de Lorenzo-Cáceres, researchers at the Instituto de Astrofísica de Canarias (IAC), have discovered a peanut-shaped structure in the inner bar of a double-barred galaxy close to the Milky Way. Structures of this type, previously detected only in outer, or single, bars are useful tracers of the evolution of the galaxies. The complexity of the shapes and structures found within spiral galaxies has fascinated astronomers for decades, and is a key to the understanding of their evolution. One example of this complexity is the galaxy NGC 1291. This composite image of NGC 1291 is processed primarily from data collected by NASA’s Galaxy Evolution Explorer in December 2003. The blue in this image is ultraviolet light captured by GALEX’s long wavelength detector, the green is ultraviolet light detected by its short wavelength detector, and the red in the image is visible light courtesy of data from the Cerro Tololo Inter-American Observatory in Chile. NGC 1291 , also known as NGC 1269, is a ring galaxy with an unusual inner bar and outer ring structure located about 33 million light-years away in the constellation Eridanus. It was discovered by James Dunlop in 1826 and subsequently entered into the New General Catalogue as NGC 1291 by Johan Ludvig Emil Dreyer. John Herschel then observed the same object in 1836 and entered it into the catalog as NGC 1269 without realizing that it was a duplicate. This galaxy was cited as an example of a “transitional galaxy” by NASA’s Galaxy Evolution Explorer team in 2007. The French astronomer Gerard de Vaucouleurs discovered in this galaxy for the first time a system in which there are two stellar bars, and he identified a pattern, which he termed “lens-bar-nucleus”, which is repeated in the outer and the inner part of the galaxy. This structure in the form of a Russian doll composed of two bars is basic for understanding the internal evolution of the galaxies, and how they fuel the supermassive black holes at their centres. It is in this same galaxy where it has been shown for the first time that there is a peanut-shaped structure in the inner bar. These structures are caused by vertical motions of the stars in the bar, and they are so called because of their boxy or peanut shape when the galaxy is observed sideways on. However until now this type of structures had been detected only in the outer bars of double-barred galaxies, or in individual bars such as that in the Milky Way. This work has been carried out within the international TIMER project, in which three IAC researchers are participating. The observations have been performed on the MUSE spectrograph on the Very Large Telescope (VLT) at the European Southern Observatory (ESO), and have shown that peanut-shaped structures can also form inside inner bars. “This is important” explains Jairo Méndez Abreu, an IAC researcher and the first author of this work published today in the prestigious scientific journal Monthly Notices of the Royal Astronomical Society (MNRAS), “because it shows that some galaxies are like Russian dolls, with internal structures the same as external structures except for their smaller size” These results also show that the inner bar is following the same evolutionary path as the outer bar. “The presence of an X-shaped structure in the inner bar of NGC 1291 implies that these can be stable structures which last for thousands of millions of years” explains Adriana de Lorenzo-Cáceres, also a researcher at the IAC and the second author of the article. This means that they have a long time in which to take gas into the centre of the galaxy, and supports the idea that they “feed” supermassive black holes, although this has not been confirmed by observations.